At the end of every Grand Slam I always find myself grappling with two conflicting emotions: sadness and relief. The sadness stems from the resounding comedown following fourteen days of intense action. Grand Slams are like my life companions when they’re on; they fill my days, give me energy, and dictate my mood. When the bubble bursts I quickly begin to miss the tennis. After a fortnight of immersing myself in the event, there’s suddenly a profound emptiness. This year I felt this inevitable low perhaps more keenly than ever before, but only because the high of being in Melbourne had been so high. The relief comes from the fact that Grand Slams are exhausting beasts, and by the end I can barely face any more tennis. When the final ball is struck, it’s time to catch up on sleep, to tune back in to normal life, and to take a break. I’ve never been very good at reconciling these opposing sentiments. I find myself torn between not wanting to watch another second of tennis for a couple of days, while also missing it deeply. It’s very strange. But one thing about tennis is that it doesn’t leave you alone. No sooner had the Australian Open finished than WTA events were underway in St. Petersburg and Hua Hin. The ceaseless cycle of competition goes some way to filling the post-Grand Slam void, but it also leaves little room for reflection on what’s come before, and I think there’s a danger that we move on too quickly. And so here we are, one week removed from the 2019 Australian Open. Before burying it in the annals of tennis history and switching my attention to ‘Frantic February’, I thought I’d write one final blog about how I will remember it. First and foremost, Grand Slams are remembered for the winners, and nobody will be forgetting Naomi Osaka or Novak Djokovic, that’s for sure. But the finals only take up two days out of fourteen, and Grand Slams are as much about the journey as they are the destination. There are so many stories written and memories forged along the way. While a Grand Slam is a global giant - more than 780,000 people entered the gates at this year’s Australian Open and many millions more will have watched on television – we all experience it individually, we all establish a personal connection with it, and we will all remember it differently. 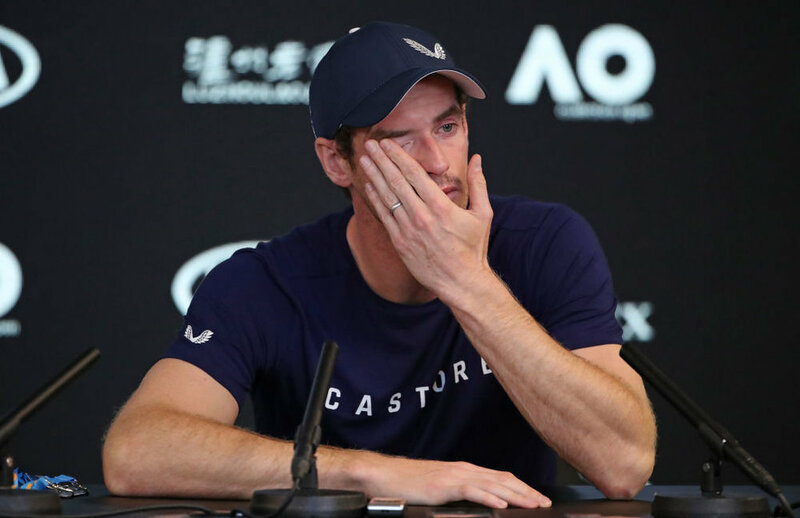 Landing in Australia to learn that Andy Murray may not play again beyond Wimbledon, and the sadness that made me feel at a time of great personal excitement. Arriving at Melbourne Park for the very first time, surrounded by thousands of children on Kids’ Day, and sharing their enthusiasm. Being blown away by the wave of Greek support behind Stefanos Tsitsipas and Maria Sakkari, and thinking about how exciting that could be for the next decade or more. Another Grand Slam that threatened to be overshadowed by off-court political turmoil, only to be saved by its cast of on-court performers. The final-set-tiebreak-to-ten first causing confusion when Katie Boulter celebrated prematurely, then great drama as Kei Nishikori won a couple of thrillers against Ivo Karlovic and Pablo Carreño Busta. The disbelief etched across people’s faces on the Margaret Court Arena as Amanda Anisimova pulled off miracle after miracle in a shot-making extravaganza, dismantling Aryna Sabalenka in just over an hour. Watching Hsieh Su-Wei play all the shots in the book, and plenty that aren’t, before Naomi Osaka eventually solved the conundrum. Meeting Mary Carillo, and the laughs we shared in the press conference room. The anticipation I felt every morning as I headed to Melbourne Park on foot, and the contentment I felt after spending the day there as I piled into the media bus for the journey back. Wondering where all the upsets were, only to see Angelique Kerber, Roger Federer and Alexander Zverev beaten in the space of 24 crazy hours. The thought briefly entering my mind that Tomas Berdych could win the entire tournament as he steamrolled through the first three rounds, only to realise that whispers of a regeneration were misplaced and he was still the same old Berdych after losing handily to Rafael Nadal. Leaving Melbourne Park after 2am several evenings in a row, and laughing at the frankly ridiculous nature of tennis, but loving it all the same. Feeling like a fool for predicting unseeded Viktoria Kuzmova to reach the quarter-finals, before realising that I should have picked Danielle Collins or Anasatasia Pavlyuchenkova instead. Having to reassess my view of Frances Tiafoe, a player whose story I’d long admired but whose game I’d often found underwhelming, after he played outstandingly well to reach the quarter-finals. Experiencing the cool change, with the temperature mercifully dropping 15 degrees centigrade in less than an hour one afternoon. Interviewing boy’s champion Lorenzo Musetti, and wondering whether this was the start of something special or a false dawn. The overwhelming sense of joy in the Rod Laver Arena as Sam Stosur and Zhang Shuai won the women’s doubles tournament. Witnessing Pierre Hugues-Herbert and Nicolas Mahut complete the career Grand Slam, and sharing some near brotherly love in the process. Being awestruck by the magnificent Melbourne sky on women’s final night, and feeling it heighten an extraordinary sense of occasion as Petra Kvitova and Naomi Osaka played the most brilliant final under it. Completing a whole podcast with Catherine and David, only to realise that it hadn’t recorded, but then finding pleasure in doing it all over again. Dreaming of attending the 2019 Australian Open many years ago, and making that dream come true.